Get Your Giving Groove On! We hate marketing, and we know you do too, especially at this time of year when Christmas Carols spout bad lyrics for Hondas and Fords, and sinister Santas leer from behind every counter. But hey, we thought we'd help out. Looking for a stocking stuffer for that Nu Shooz fan in your life? 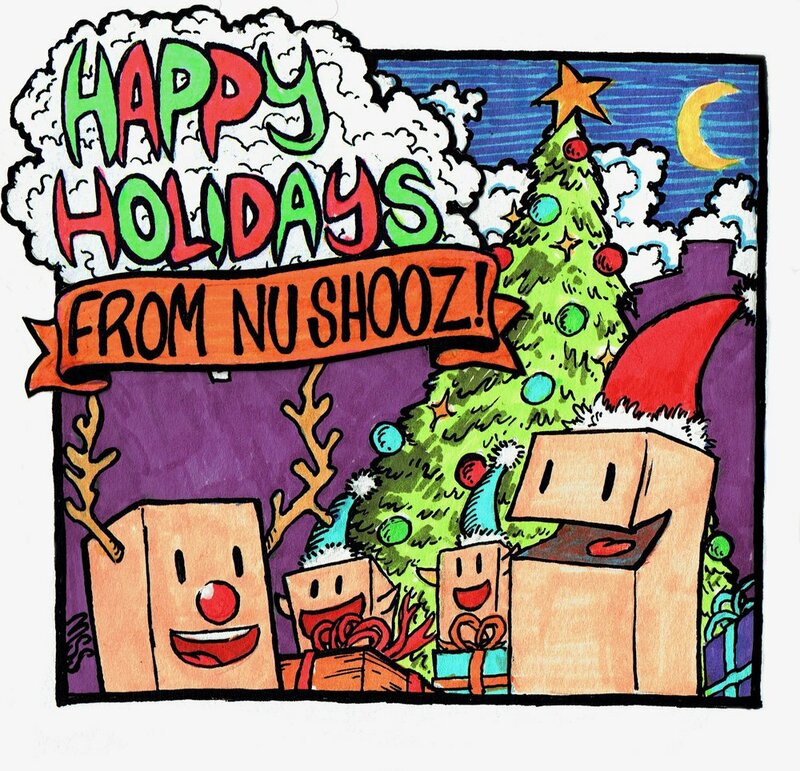 Well, just for the holidays, ALL Nu Shooz physical CD's on CD Baby are just $10! Click the links below to preview and order. Buy 2 or more copies and get an additional 10% off. Can't beat that. Yeah, we hate marketing, and we know you do too. We promise we'll never do it again! Fingers crossed! For your favorite Nu Shooz Fan, we've got a plethora of P-Funk. From The "I Can't Wait" Maxi single, to our latest, "Bagtown", Santa will help you get your giving groove on! For your Aunt Thelma who just wants something jazzy to clean the house to, give her this blast from the big band past that Valerie recorded with a crack 17 piece band back in the early 2000's. Last but not least, for that crazy, eclectic, jazz/pop/cinema aficionado you know, it's "Pandora's Box." Lyrical and dreamlike, playful and sublime, PANDORA'S BOX takes the listener into strange new worlds filled with Spy music, Tarzan movies, Debussy, and their signature brand of deadpan funk played by a band Gil Evans would have loved.